Originally from Carterville, Doctor Melinda Moore has returned to serve the people of Southern Illinois with modern foot and ankle medical care. 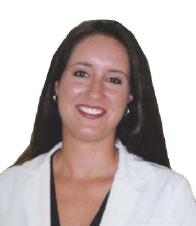 An alumnus of John A. Logan College, Southern Illinois University and Rosalind Franklin University School of Podiatric Medicine and Science, Doctor Moore completed a three year Podiatric Medical and Surgical Residency Program in Chicago before opening her practice in Herrin, Illinois. She has recently moved her office to her home town of Carterville.